From the mountain marathon earlier today to the last stop of the day. 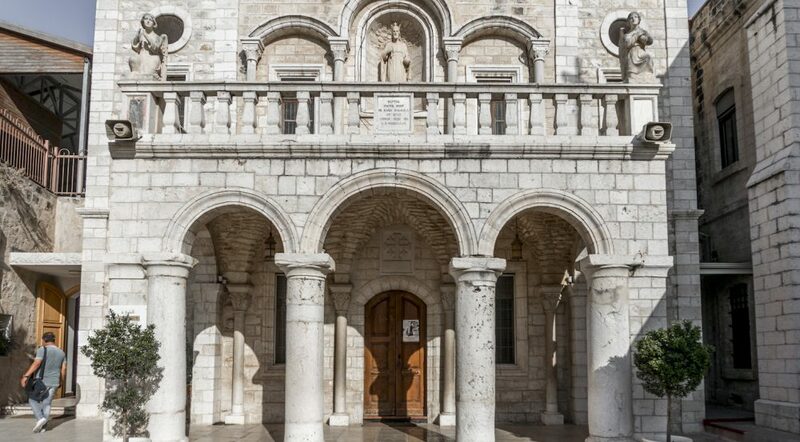 Church of Cana, at the southern part of the region of Galilee. Located just about 5 miles northeast of Nazareth. As usual, I would have an intro for this post. 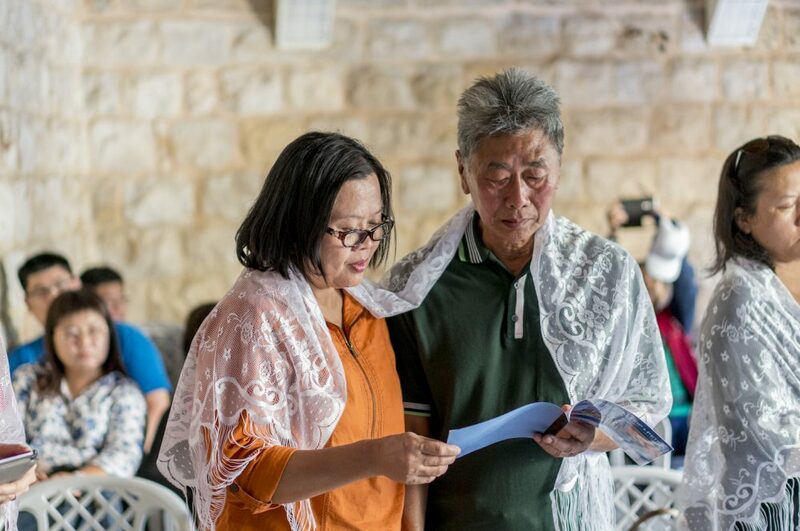 Because it’s a journey from my pilgrim trip to Israel, I have some points written on my first post for these Israel series as some kind of disclaimer. So that people will not wonder or confused going with the story. Please refer to that post first, then go with the flow until you reach this post. It will be better as one continuous story. From the previous post where I had an amazing view from the Church of Transfiguration at Mount Tabor, I also had a short exercise of running to the car. Why? Our itinerary today ended in Cana, our last stop. But then, it’s around 3 or 4 pm, not sure. The church in Cana will be closed at 5 pm. So yeah, you know what next. It’s always the downside of going with a group tour. First, you’re gonna be slower because you’re a group. Second, you don’t have the freedom to change your itinerary, it’s not your decision, it’s set for the group, any change must be agreed together. 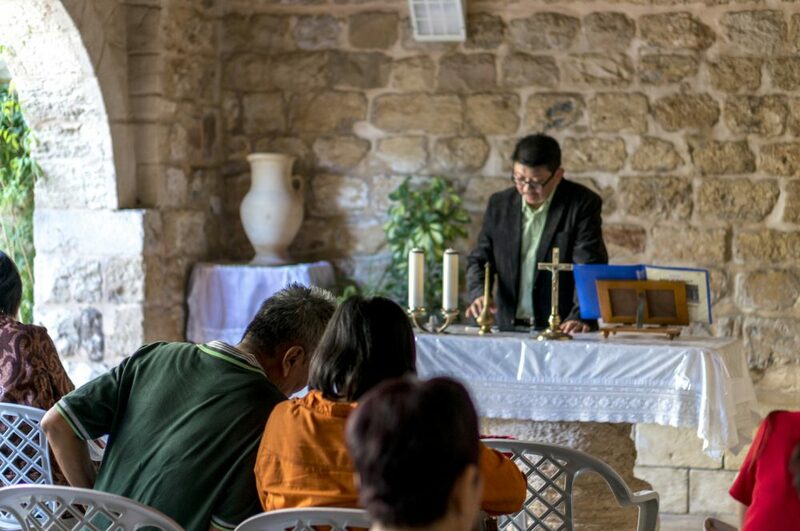 Because it’s our last day in Galilee, so Mr. Dani kinda tried his best to give a call to the church in Cana I guess and ask them to wait for us. We planned to have a marriage vow renewal for couples in the group. That’s the one thing that couples been waiting for. But for me, I’m more like what kind of place does it look like where water turns into wine? We’re arriving after 30 or 40 minutes, and it’s quite uncomfortable to rush things when you travel. I mean, who likes to enjoy stuff too quickly? I personally don’t. A short walk from where our bus parked, we walk to the left side of the road where there’s an alley that leads you to the church. Don’t worry to find which alley. Usually, there’s a lot of tourists going in and out that alley. It’s a pretty wide at the beginning before it gets narrow in the middle just after the first souvenir shop. I’m sorry that I can’t give you more photos covering this place. As I have mentioned in the very first post about Israel trip, I only had two batteries for my camera. With only two battery for a mirrorless camera after that usage from the morning… I think you get it. 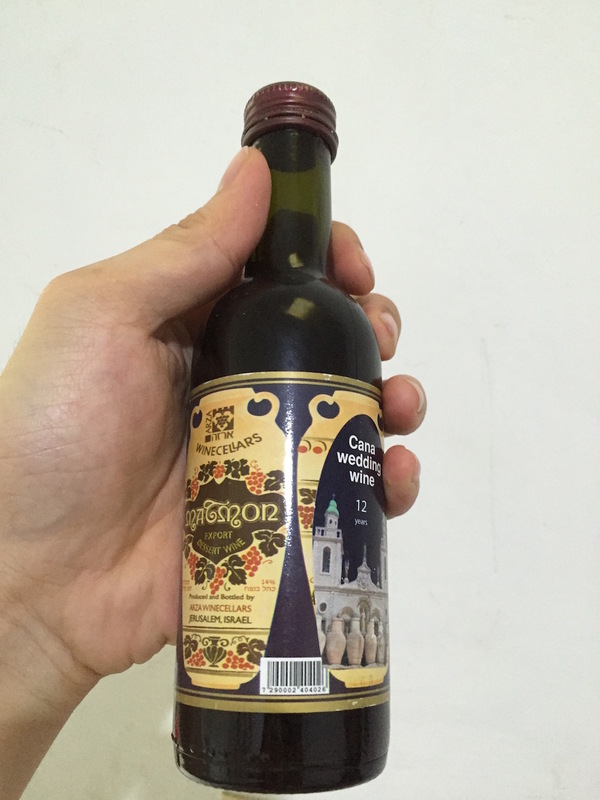 Cana is known for two things, wedding and wine. 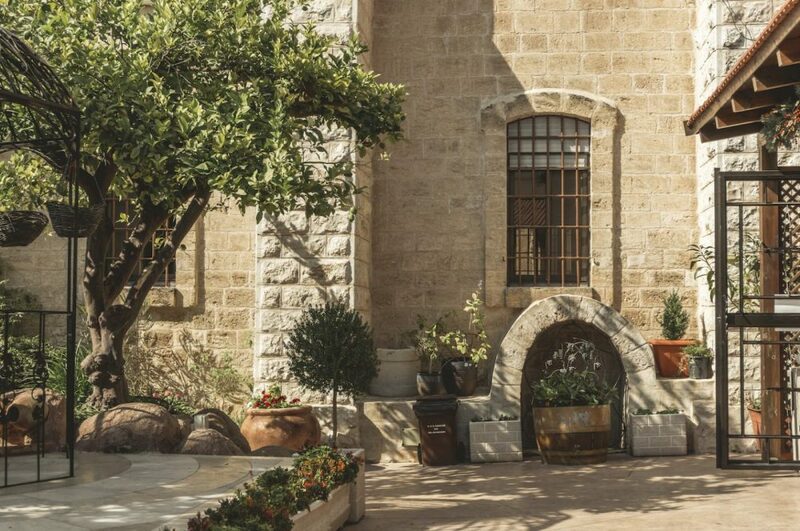 Looking back to the time when Jesus lived, it’s believed to be a place where He performed His very first miracle in public. The miracle of turning water into wine at a wedding. As it is written in the gospel. That event is what makes people coming to this town. 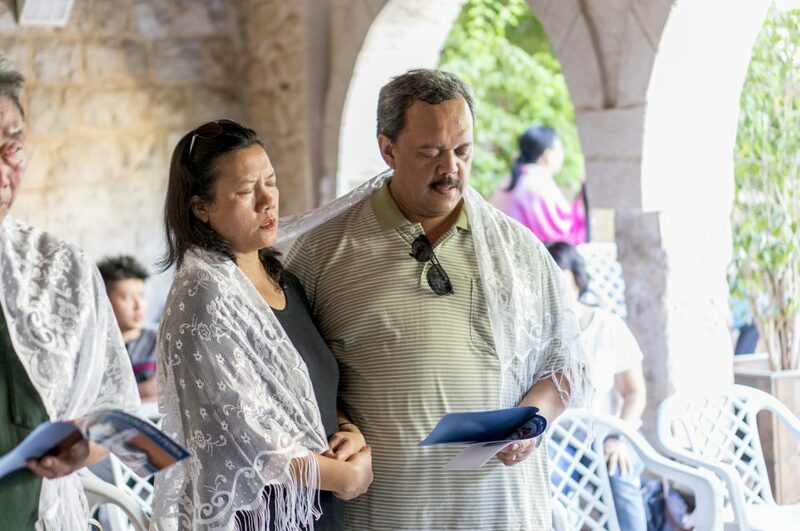 Christians believed that it’s such a blessing to have a wedding vow renewal at Cana. This miracle is significant for Christian theology. It is believed that Jesus attended the wedding and perform a miracle at the wedding feast as a sign of the sanctity of marriage. Also as the Catholic Encyclopedia puts it, “on the propriety of humble rejoicing on such occasions”. Another opinion said that it possibly because of the close relative of her mother, Mary, that Jesus attends the feast. Yeah, I know… I think I’m getting used to it, you know… A lot of pilgrim sites actually have the same issue, different locations depend on the research or the archeology study, or experts say different things, or evidence found here and there. Best that I could get is “This is the best possible site…” or “This is the most accurate than any other places…”. I only tried to enjoy what’s in front of my eyes. But to keep it short, the Kafr Kanna and Khirbet Kana are the top two possible location for the miracle to happened according to many. 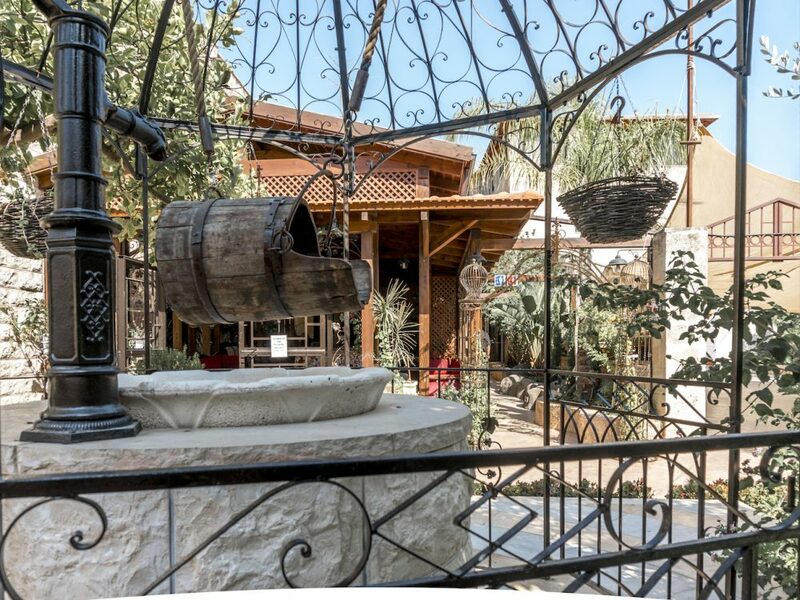 Kafr Kanna is the most traditional site and has the favorable factors of its authenticity. But recent excavations on a hill north of Nazareth have uncovered ruins of a Jewish village from the 1st century AD, that is Khirbet Kana. Which then they think that is the place. You can read more details about the 5 location dispute here. It is actually called a village. 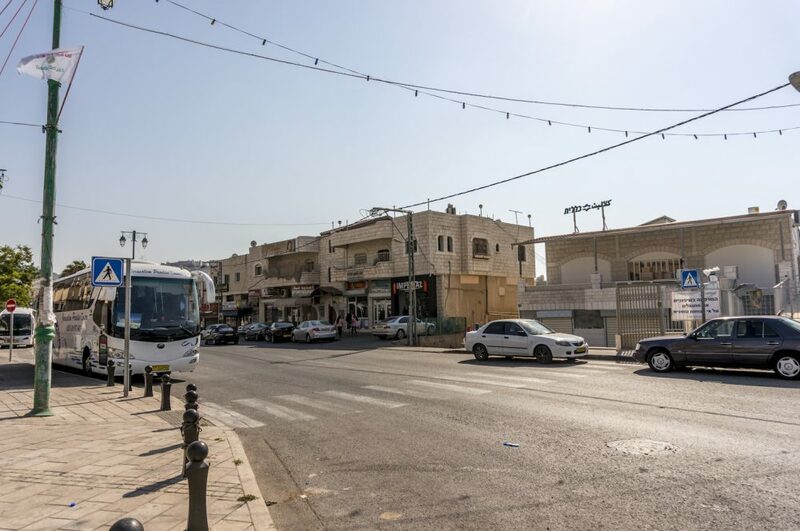 Kafr Kanna village, a small town in the lower Galilee. A large Jewish community once settled in this town during the Roman-Byzantine period, before the Mamluk period where Christians take over. But nowadays, they called it Arab town as most of the residents are Muslims. There are still Christians living in this town, usually they live in the oldest part of the town. There are three churches here. The most important site in the village is the Catholic Church (The Franciscan Church where I’m going), built in 1879, on the traditional site of the miracle of the wine. Beside this church is the Greek Orthodox church of St. George, built in 1886, which house two stone jars that Greek Orthodox followers believe are the jars in which Jesus performed the miracle of the wine. 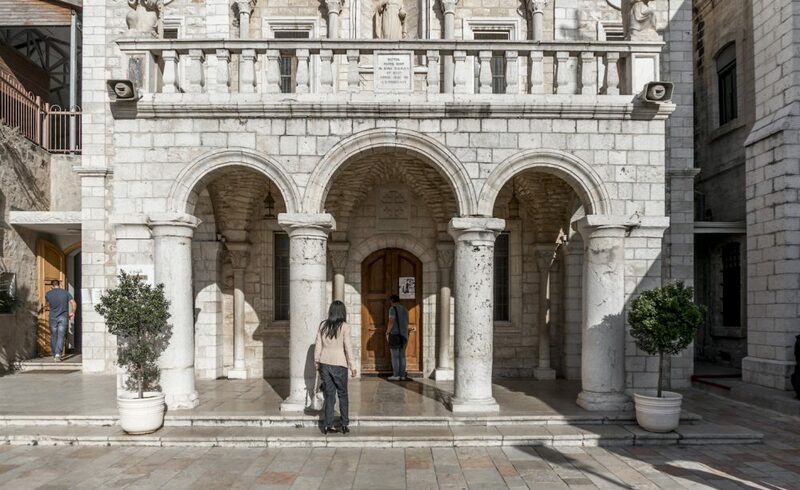 There is also a church named after St. Bartholomew, built, according to tradition, on the site of the home of Nathaniel of Cana (St. Bartholomew), one of Jesus’ disciples. Entering the small entrance door I can see this church is relatively new since they built it on the old one. We skipped the church and went directly to the right side of the church where there’s this place Mr. Dani booked early. 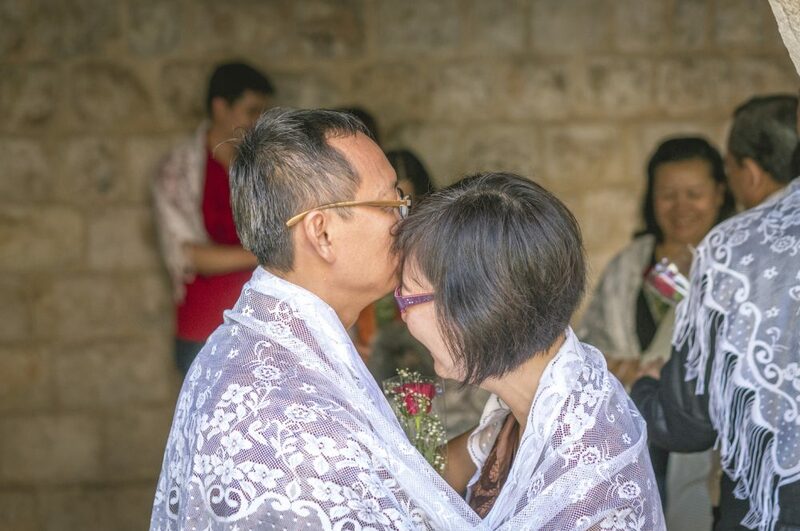 If you go with a pilgrim group, you can book a spot to have a wedding vow renewals ceremony. They will provide you with the bread and wine for the communion. Now this is what I’ve been saving my last battery for. I have to shot this for the church, for documentation purpose. Although with all the limitation I had, I just tried. Everything went better than expected. The rush hour to finish before they closed, the very short preparation for the pastor to bless the married couple, the weather, mann… It surely hot that afternoon. In the end, things okay, I guess. Like I said, everything went better than expected. Pastor preach good, couples kisses, hug, and laugh. They had their moment, they surely did. Many people are actually watching us while this happened. I think most of the pilgrims wants to have a wedding vow renewals and have their wedding blessed in Cana. You know, looking at the story of the “miracle” at the wedding. People also want a miracle in their wedding. If you go here, do check with your local guide to have a session like this. I found this site, a local guide providing that service, check her out. I’m not sure if using Cana vibe is acceptable or not. But after that session looking those old and young couples kissing, hugging, and loving each other. Surely any normal people will find it a bit uncomfortable to keep looking at them. I believe they felt the same way. So I let them have their moment for a while, I tried to make the best of my last 5% battery. I look around and see this well just next to us all this time, my eyes are actually distracted by this view from the moment we sat here. But I had my priority. Now I surely will take it. Isn’t that lovely? I wonder how they look like during sunset. It must be beautiful with all the bouncing sunset light from the stones. As everybody knows, working as a tour guide, you will get a commission from the places, restaurants, and shops where you bring your tourists to spend their dollars. As surely as Mr. Dani did. 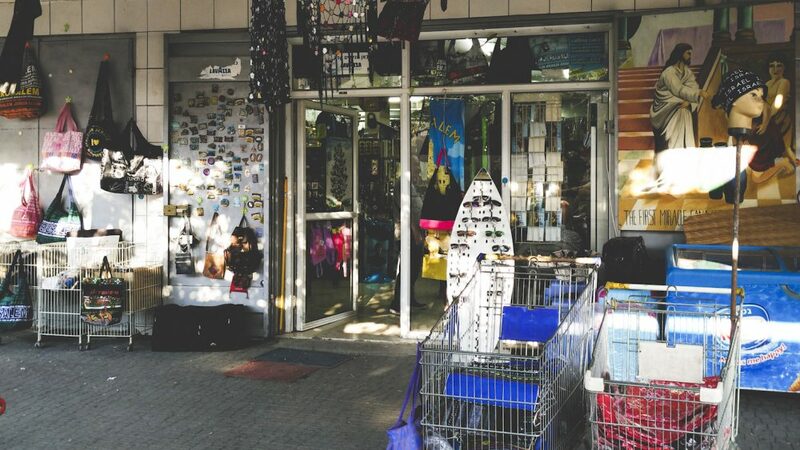 This one souvenir shop he brought us in, looks nothing original at all, in fact like most commercial souvenir shop with all the standard items as souvenirs (keychain, magnet, coins, and….. y’all know what I mean). I lost my appetite for shopping once I enter this shop. I do want to buy the wedding wine, though. Thank God I didn’t buy anything yet. Apparently, the pastor and one lady from our group wanted to go back to the store just across the catholic church that we were before (the second photo on this post). They were after the wine, so I followed them. At that time, the wine store already closed. But then a guy comes out from the door next to the store, turns out it’s one of the family who owns the store. So he told us to get inside. I bought myself 5 bottles of wine of 12 years old. There are 2, 3, 5, 6, 12 up to 15 years old of wine they offer us, they quite vary in numbers. Bought mine for USD 12 each. How do they taste? Hmmm.. It’s not the best wine you can get, but for that price range, I would say pretty good. More like a very sweet wine. If you don’t like sweet wine, don’t buy it. Or buy it, but don’t drink it. I still keep them until now and maybe until like 5 – 10 years from now. The older the better. This wine store is the last stop for the day. After everybody happy with shopping, so we got back to our hotel, Emily’s Inn, to stay one more night. 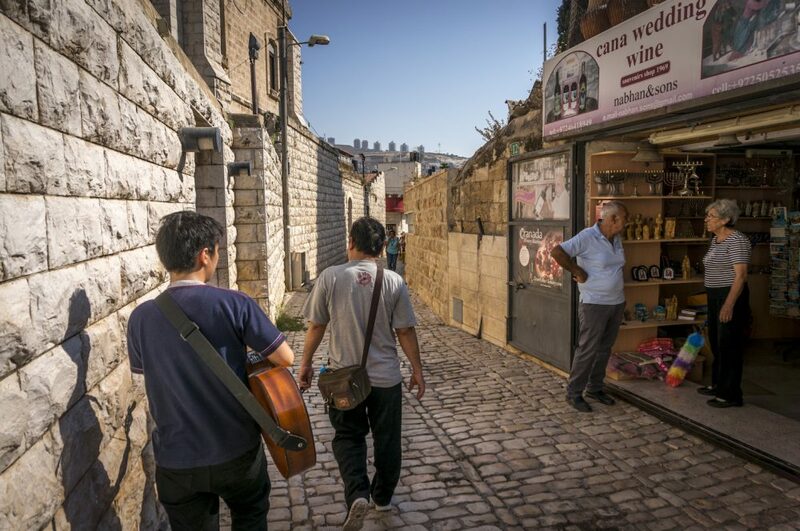 Tomorrow will be the day for us to enter the most awaited place, City of Jerusalem. That’s the ultimate pilgrim destination. Enjoying Cana in such a rush and short time, I think I can still get a bit of the atmosphere. The story of Jesus doing a miracle for the wedding really inspired and shape the place. You can read more interesting short articles about Cana here and here. Cana has been great. The town itself is quite chill. There are only 20,000 people approximately living in this small town. Not too many people around. What about you? 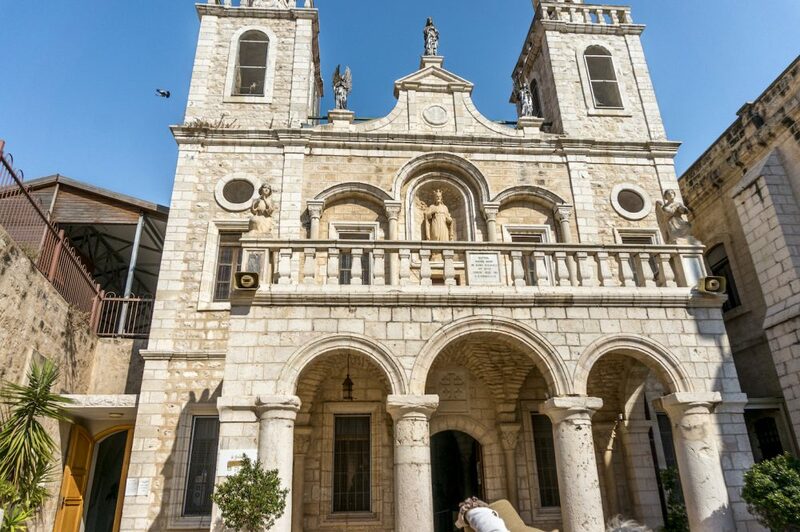 Do you think Cana worth a visit? Have you ever been here? Leave a comment below. Would love to hear you share some thought about it. Don’t forget to subscribe and share this with your families and friends. Your supports are everything. Thanks for reading. Until next post, bye!